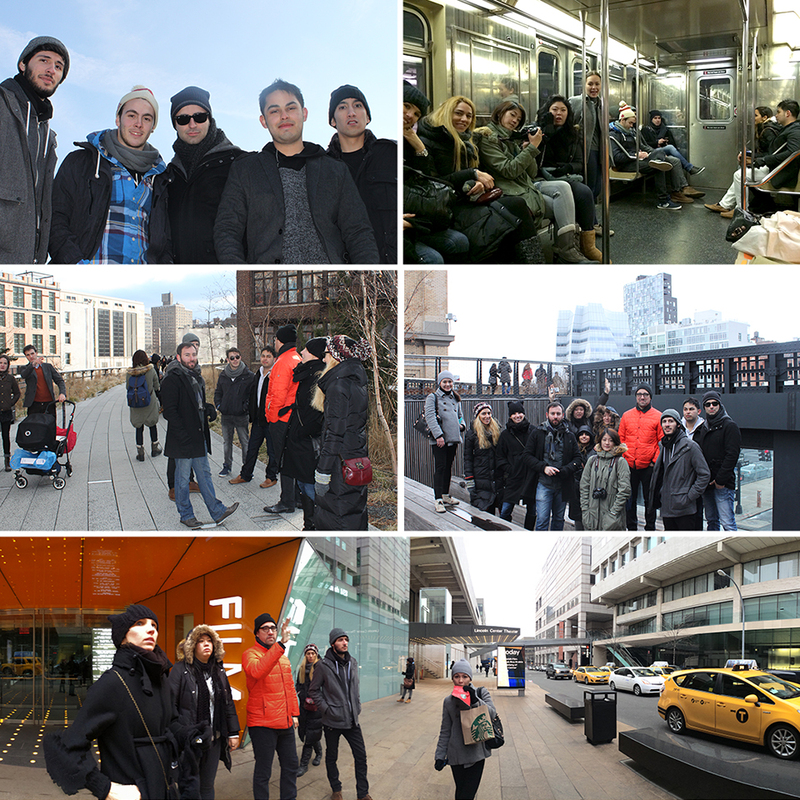 Architecture/Landscape/Interiors (A/L/I) Seniors visited New York as part of their final Studio, Building/Landscape. Studio 6: Building/Landscape Instructor Greg Kochanowski and A/L/I Seniors Thomas Acosta, Hala Alasmari, Sally Choo, Rodrigo Carmona Flores, Rachel Kim, Golnaz Noroozi, Steve Peraza, Sandra Sadauskaite, Jihae Shin, Julia Sieh and Erfan Zamani traveled to New York to visit the site for their Building/Landscape project, and important architecture, landscape and interior projects including: Lincoln Center for the Performing Arts, Guggenheim Museum, Louis Vuitton Store, MoMA, Rockefeller Center, Seagram Building, Grand Central Station, Bryant Park, High Line, HL23, IAC Building, Flatiron Building, The Cooper Union, The New Museum and Prada. Carlos Salas, an Otis Mobility/Exchange Program student (from Toronto) who studied with this group in spring 2013, reunited with them in New York. Each year, A/L/I seniors visit a location outside of Los Angeles where their final studio project is sited. Prior project sites and field trip locations include Chicago, Desert Hot Springs, Las Vegas, San Diego, San Francisco, Tucson and Seattle.